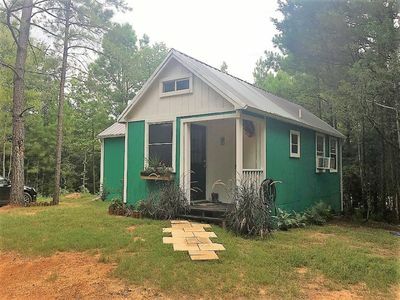 You will find this home to be your home away from home! 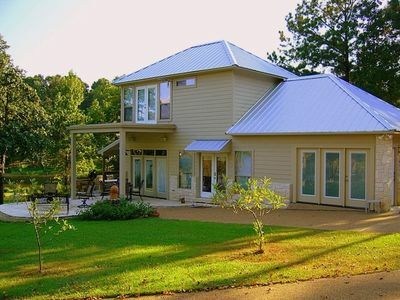 Newly constructed upscale home offering the perfect view of open water. 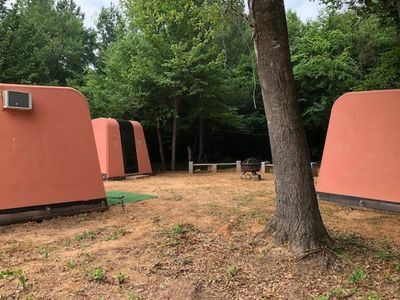 The master bedroom has a King bed, 55” flat screen tv adjoining the master bath equipped with a Healthmate Infra-red sauna, luxurious soaking tub, and a beautifully tiled shower. After you relax in the sauna and soaking tub melt your stress away with an outdoor massage on the porch. The second bedroom has a queen bed, flat screen tv, and it’s private porch and entrance. The third bedroom has a full bed, 45” flat screen tv, and a shared bath with the second bedroom. The living and gourmet kitchen with Kitchen Aid appliances is an open concept featuring a wall of windows, gas fireplace, 70” tv and very comfy furniture. We have a glass dining table that seats four and an island that seats three. 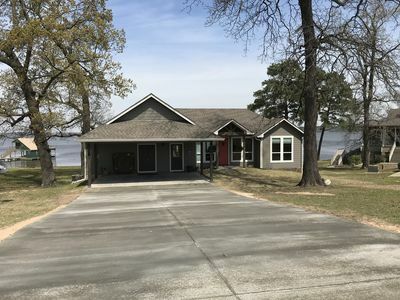 Great views of the lake all throughout the home. 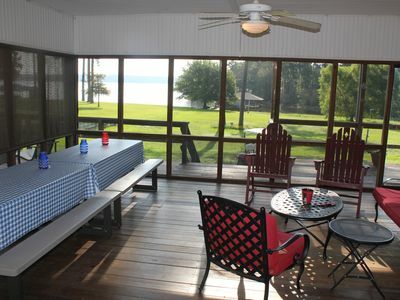 For your outside pleasure a covered porch with a ceiling fan and an open deck, both facing the water. Enjoy the clean beach accessing the lake, great for swimming and a kayak and paddle board available. 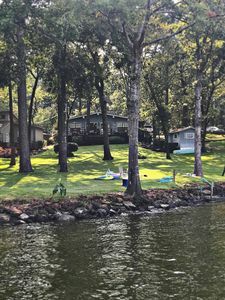 A private neighborhood boat launch is available for your use. A gas grill for outside cooking and a fire pit for late night smores. Challenge your friends and family to ping pong. 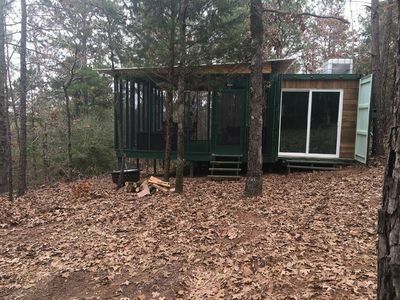 Great location, right off Highway 155 near the Coffee City bridge leading to Dogwood City. If additional room is needed or if you want to include more guest a beautifully decorated upscale apartment that sleeps four is available with an additional fee of 150.00 per night. 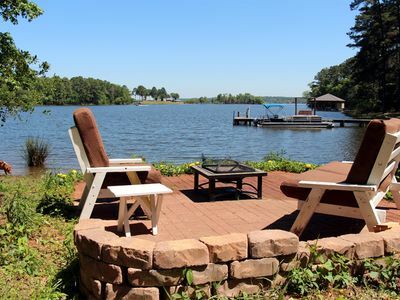 Spacious Frankston Home w/ Deck on Lake Palestine! 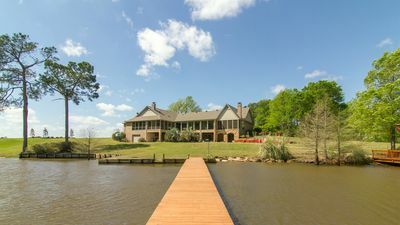 One Acre Lakefront Home; 15 Minutes To Pine Dunes Golf! 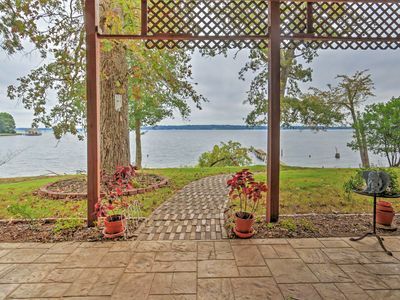 Miss Piggy's Guest House on the Cove, Lake Palestine. Check our new Off-Peak & Mid-Week Special Rates!!! 3BR Frankston Apartment w/ Lakeside Views! 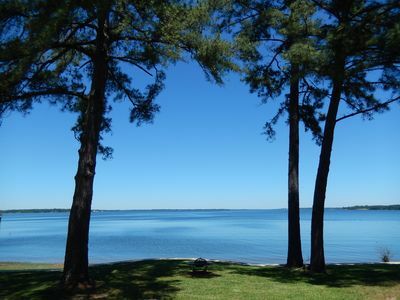 **Beautiful**Brierwood Shores, Gorgeous Waterfront, Shaded, 3/2, Amazing water!! 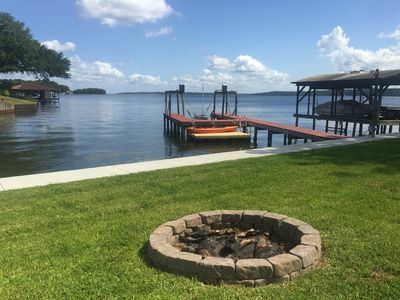 Waterfront Apartment Welcomes You to Lakeside Living!